Venturing into the world of food in Gdansk is an exploration into the city’s legacy. The opportunities have grown in recent years, with more restaurants aiming to bring back traditional dishes as a way of pursuing their own passions and ambitions as well as presenting traditional flavours. As a result, Gdansk now has much to offer in terms of venues cultivating local traditions in a manner that is both accessible and attractive to modern audiences. And so, the prospect of an exciting culinary tour of Gdansk has become difficult to resist. Those who are expecting pierogi dumplings and pork cutlets from chefs cultivating the city’s traditions may be disappointed. While a bowl of tomato soup and a slice of bread with lard are easy to come by, they do not even begin to scratch the surface of the local culinary identity. Gdansk is a Hanseatic port city – for centuries, it has been a powerful hub of trade and craftsmanship. Immigrants from the Netherlands and Scotland, as well as Jews, sought a better life here, joined by people from the Polish borderlands after the war. Being a rich and open port city with a rapidly changing cultural makeup means that Gdansk can offer not only the best in fish and meat, but also tastes and condiments from distant lands. The richness and flair of traditional Gdansk cuisine is well documented, with various food and drink recipes surviving to this day. Even seasoned beer geeks are sure to be impressed by Gdansk’s 15th-century Jopenbier. Brewed exclusively in winter, fermented with the use of yeast and matured for a year, the resulting oily extract was potent enough not only to be served as a drink, but was also used as seasoning and even a medicine. After Browar PG4’s many tedious (but brave) attempts at reconstructing the beer, you can now try it yourself in Gdansk. This style of beer is only for the courageous, however, as its aggressive taste certainly is not for everyone. Still, if you prefer the classics then you are sure to find something to tide you over at Browar PG4 and several other new craft breweries, whose passionate efforts to rebuild the city’s beer-brewing tradition deserve utmost respect. Great places to grab a pint include Vrest – a venue popular among local youths, Brovarnia – located on the Motlawa and winner of numerous awards, as well as Piwnica Rajcow – located at the feet of Neptune's statue. 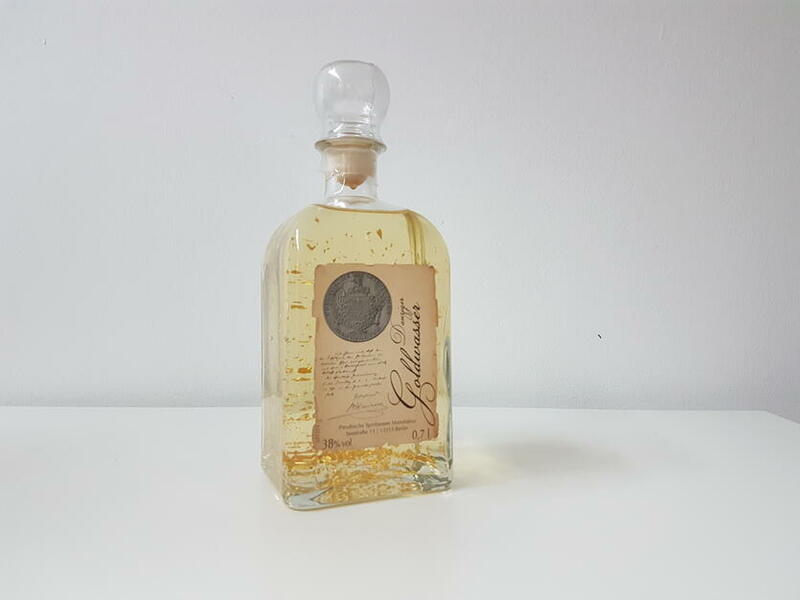 Those who are looking for something rarer and more intriguing can enjoy a glass of the herbal Goldwasser liqueur. Its origins can be traced back to the 16th century, when Ambrosius Vermoolen, a Dutch immigrant, opened a liqueur brewery and tasting parlour at 51 Szeroka Street. Nowadays, it houses the Pod Lososiem restaurant, whose owners cultivate local culinary traditions with the respect and elegance they deserve. As for the menu, look out for the strong fish soup with crayfish and baked salmon in lobster sauce garnished with a gold flake. The recipe and the rights to the golden liqueur born in Pod Lososiem have changed hands numerous times over the years. Nowadays it is available in several variants from a number of breweries in Europe, but you can also enjoy it in Gdansk. The Goldwasser restaurant on the bank of the Motlawa serves it in its purest form, while the neighbouring Gdanski Bowke ('bowke' being a dock worker) uses it in a filling for chocolate pralines. Though, truth be told, the dock workers of old preferred the much more egalitarian Machandel over such an elitist liqueur. Machandel was a local type gin popular during the Free City period, and which is still served to this day. Günter Grass, a Gdansk Nobel Prize winner, mentioned it in his novel, “The Tin Drum”. Grass often made references to cooking in his works, mostly to simple, home-made dishes. You can now experience them at the restaurant in the Villa Ewa guest house, which he often patronised. Located away from the hustle and bustle, in a verdant part of Wrzeszcz, it honours the memory of its special guest by serving modern interpretations of his culinary memories, compiled into a special menu called “Günter Grass’ Pantry”. The menu includes a strong, sweet and beefy broth, turbot in white wine and bittersweet pancakes.